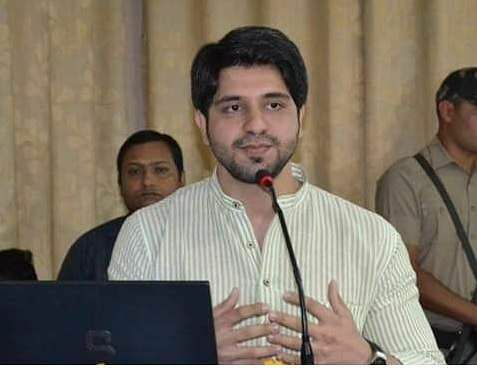 New Delhi, Nov 30: Congress leader and Maharashtra Congress Secretary Shehzad Poonawalla on Wednesday questioned the process to elect party President, calling it "rigged" and said Vice President Rahul Gandhi must first resign from his post. Poonawalla said he would also contest the election if it was conducted in a "genuine" manner. On Tuesday, he has also wrote a letter to Rahul Gandhi in this regard. "I cannot contest a rigged election. If the system is genuine, then I will contest. It is a rigged election...it is a selection. Delegates who are going to vote for this election have not been elected as per the constitutional requirements. They have been handpicked," he told IANS. Poonawalla furhter said: "I will contest if Rahul Gandhiji agrees to first have genuinely-elected delegates and not handpicked delegates. Second, he must give up his post because he has an unfair advantage by being the Vice President. He has been selected and not elected as VP. He will leave his post, I will leave my post... Then we can contest. "Third, will he be ready for a televised debate where we both as contestants can have a debate on what is our vision for the Congress party? We can be judged on merit, not on the surname," he said. "And finally, I want him to accept that our party must have a rule of one family-one ticket. I will be happy to contest in a genuine election, not in a rigged election," the party leader added. In his letter to Gandhi, Poonawalla asked several questions. "Firstly, a common party worker like me joined the party in 2008-09. I spent time, energy and money working voluntarily for the party at all levels and finally got elevated after eight years to the position of a Secretary in a state unit in 2016. "But how and why (other than your surname) did you in the same time span start off with an MP seat in 2004 itself, get general secretaryship in 2007 and then graduate to vice presidentship of the national unit while your mother was the President?" he wrote. "Did you win us more elections, were you genuinely elected to these posts, did you give better speeches than other leaders? You must therefore resign from the VP post and contest as an ordinary member for the election of the president. How can it be a fair contest if a common worker has to contest against the VP (who was selected and not elected as the VP or the number two in the party)?" he said. "Since the delegate system is completely rigged and manipulated, for a fair fight for the presidentship, will you allow real delegates to get appointed and vote rather than a bunch of handpicked 'yes' men? "If not, will you at least face your rival in a televised debate to see who articulates a better vision for the Congress party and India? Will you allow yourself to be judged on merit rather than your surname? If yes, let's have that contest. I am ready." Poonawalla further said: "You failed to deliver on the promise that IYC, NSUI won't end up electing children of 'netas'. Will you at least now curb the innumerable dynasts who are given tickets and posts in the party by implementing the rule - one ticket/post to only one member in any family? "So if I have a party ticket or post - my brother, sister, mother, brother-in-law, etc., cannot be eligible for a ticket or post. We are not into some family business, are we?" his letter read.